The authority also said that it was prepared for the usual upsurge in passenger traffic that is the norm during the season. 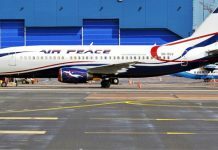 A statement by, the General manager, Corporate Communications of FAAN, Mrs. Henrietta Yakubu assured air travellers and other airport users of total safety during the period. Yakubu said that the agency had beefed up security at all the airports especially at the Murtala Muhammed Airport (MMA), Lagos, Nnamdi Azikiwe International Airport (NAIA), Abuja, Port Harcourt International Airport (PHIA) and Aminu Kano International Airport (AKIA), Kano, among others. Apart from this, she noted that the agency was also improving on its facilities and infrastructure to ensure maximum comfort for all airport users. She recalled that in a bid to ensure seamless travel for passengers, the Federal Government commissioned new international terminals for use at the Port Harcourt and Abuja Airports. 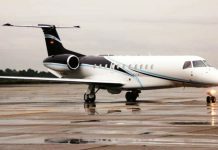 She added: “At our premier airport, the Murtala Muhammed Airport, Lagos, the VIP lounge has been renovated to enhance passenger comfort; the carousels are working optimally amidst other facilities upgrade currently on going. She, however, appealed to passengers to get to the airports early to conclude all check-in procedures in good time so as to avoid the experience of missing their flights.